Originally posted Jan. 6th 2014. Updated with new information. 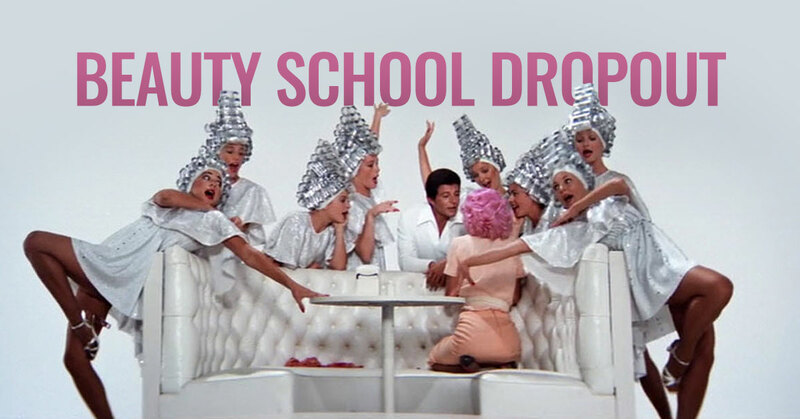 There’s a popular song from the musical, Grease, simply called “Beauty School Dropout.” In it, one of the character’s works to convince the other that it’s time to go back to high school and focus on a more “mundane” or “usual” career. The singer was sure this was the best option for the beauty school dropout because, well, she had dropped out once, so clearly she didn’t have the drive to achieve her dreams. Just give up now, the song seems to say, because it just isn’t for you. It’s not uncommon. People who have taken a break from cosmetology school often face an uphill battle to get back to their course work and gain the skills they need to start a new, amazing career. We’re here to tell you that you don’t have to listen to those naysayers, even if they’re naysaying is in song, and especially if the doubts are in your own mind. In fact, when it comes to your future, that song from Grease couldn’t be more wrong. Whatever your reasons for taking a break from school, there are a lot of options available to anyone who wants to come back. With a little extra planning, and a bit of determination, you can go from beauty school dropout to beauty school graduate and get started on your new career. There are so many reasons why a person might quit hair school. Perhaps your family situation has changed. Maybe you have had a child who requires your complete attention. Maybe you no longer have access to the same finances that you once did. Sometimes, though, people take a break from their classes because they feel a lot of frustration. This could be frustration with themselves, frustration with the program, or frustration with other things happening in their lives. Everyone faces different difficulties and challenges, but whatever you’ve faced up until now, you can still come back and finish up. There are options to address almost anyone’s situation. Even if you’re concerned about whether the hours you completed before taking a break from school will transfer once you start back up again, simply speak with us about your options. Whatever reasons or situations have built up to keep you from completing cosmetology school, there are many different options available to help you get around them. One of the most common speedbumps preventing people from returning to beauty school is the finances required to attend. If you had previously quit school because of finances, there are a few options available to you. First, is to make the switch to night classes. There are several classes available at these times, making it possible for those who need to work during the day to pursue their new education during the evening. This will give you the chance to build your finances, or whatever else needs to be done during the day. The second option is to apply for a scholarship to beauty school. We award up to 100 scholarships each year so we can help people achieve their goals. There are some eligibility requirements (that you can read on the linked page), but this is just one more way we can help you overcome those speedbumps and get back into class. There are a lot of demands on your time, but we’ve made it so you can fit your classes in on your schedule. Hair school is done by hours rather than weeks, so you can choose the amount of time you will be there, whether it is full-time or part-time. We’re not here to force you into a schedule that will only add to your stress. You will decide how long you will be in school. Going back to hair school may not quite appeal to you the way it once did. People change. They discover things about a potential career and begin to seek other options. Of course, that doesn’t mean you have to give up on the beauty industry as a whole. At Taylor Andrews we offer courses in makeup artistry, barbering, microblading, nail technology, and more. If hair cutting doesn’t seem quite as attractive as it once did, we can help you expand your horizons a little more and discover new ways to express your creativity in a career you’ll love. We all live busy lives, and if the commute is too long, many students begin to miss classes or look for other options. At Taylor Andrews, we have locations in West Jordan, Orem, and St. George. That covers a good portion of the state, so you can attend at a location that is close to you. If you have been thinking at all about coming back to cosmetology school, now is the perfect time. Every one of our classes, staff members, and guest artists are ready to help you achieve your career goals. We know how to keep our students motivated and excited about pursing their passions. That doesn’t mean everything will automatically go smoothly, of course. Nothing is ever quite as easy as that. However, we will work closely with you to determine how much longer you will need to be at school before you can graduate and move on to the next stage of your exciting new career. We’ll make sure you’re prepared for other challenges you might face and help you stay motivated throughout the entire program. The path from beauty school dropout to beauty school graduate may not be as long as you thought, and the sooner you get started, the sooner you can complete your classes and become a real pro.